RATS, MICE, BLUEBOTTLES and garden ants were among the pests and creepy crawlies found at Leinster House in the past two years. A pest control company was called to the parliamentary complex 15 times to deal with the threat of infestations during 2015 and 2016, at a cost of €8,354.20 to the taxpayer. Inspection reports compiled by the company reveal problems with black garden ants in the crèche at Leinster House, rats outside the press office and an infestation of bluebottle flies in TDs’ offices. Last May, the pest control firm was called out to deal with reports of rats on the ground floor of the main building following complaints of a “rancid smell” emanating from the floor outside the press office. A pest control technician reported that there was a hole in flooring outside the ladies’ toilets, which exposed “old cast-iron waste pipes” and acted as an entry point for rodents. “A callout visit was carried out in response to a rancid smell from under flooring in corridor outside press office,” the inspection report stated. Area was inspected and rodent activity evident with rodent droppings visible under flooring in this area, and one rat removed from under flooring. Last October, the pest control company was called in response to reports of a bluebottle infestation in three rooms in the LH2000 annex of Leinster House, where many TDs and senators have their offices. A pesticide spray treatment was carried out to address the infestation in the three offices located on the third floor of the building, as well as in the adjacent corridor. In July 2015, a spray treatment was also carried out in the crèche area of Leinster House in response to an infestation of black garden ants. Ant activity was also noted elsewhere on the ground floor of the main building. Records released under the Freedom of Information Act reveal the pest control company was called to the complex 15 times in 2015 and 2016. There have been two callouts to date in 2017. On 31 January, the company was summoned in response to a “smell of rodent” in the Kildare Street reception of Leinster House. However, no dead rodents were discovered on inspection. On 27 March, the company was again called out in response to sightings of “rats in [the] main building on [the] ground floor”. In their inspection report following the callout, the technician recommended that a “deep clean” of the canteen was required “as there is a lot of food debris, which is a food source for rodents and needs to be cleaned ASAP”. Email “Pest control company called to Leinster House to deal with rats and ants ”. 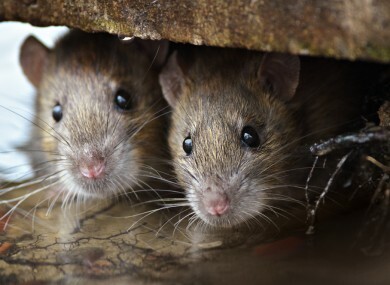 Feedback on “Pest control company called to Leinster House to deal with rats and ants ”.